Most autobiographies feel like a cradle to almost the grave stories of how certain people came to become who they are. Others are about a period in their lives. 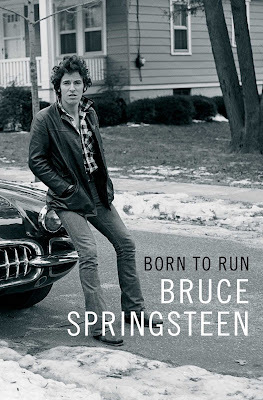 Then there are the rare ones like Keith Richards' Life, Johnny Cash's Cash, and Bruce Springsteen's Born to Run, which all of them feel as if the author is sitting in your living room telling you their life story in such a way that you can't stop listening. Released in 2016, Born to Run instantly became a best seller and The Boss got candid about how he grew up, how formed the E-Street Band and kept their relationship going as long as they have, as well as his love life as well as the hopes and fears he still has at 68. Springsteen, like the stories in his music, also chronicles the fine line of the American dream and the reality of America through his experience. Springsteen isn't just one of America's greatest voices, he remains one of our greatest storytellers and Born to Run is a testament to that. It is an enormous collection of stories, memories, and insight that by the end of it will leave you in tears thinking you and The Boss are close friends by the time you close the book.